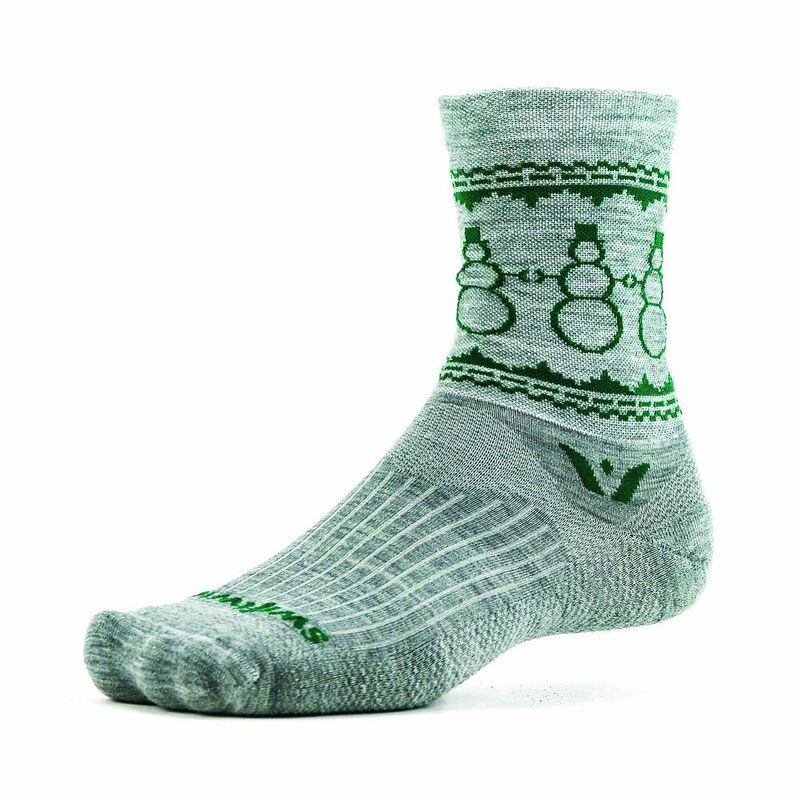 Let’s extend the holiday cheer with the Swiftwick Vision Five Snowman Socks! These are not your run-of-the-mill socks. Swiftwick produces high-performance socks with some great features, superior moisture-wicking properties, and a solid fit. Put on the Vision, and you’ll feel the difference in the contoured fit in the heel, arch band support across your mid foot, a seamless toe, a flex zone at the top of the foot that keeps your sock from bunching up, and a medium cushion and compression provides comfort for all your TrailblazerGirl activities from hiking to biking to just walking about town. They are designed out of a natural Merino Wool that is fantastic at wicking away moisture and regulating your temperature. No sweaty feet here, even on our longest hikes! On top of all this, a percentage of every sock sold is donated to charitable initiatives. So many reasons to feel good about the Swiftwick Vision Five Snowman Socks!